SunSource® Solar-Ready option–allows you to add solar modules and create a solar powered system that generates electricity for your heat pump and more, reducing energy consumption and utility costs. The most quiet and efficient heat pump you can buy. Efficiency ratings of up to 19.00 SEER and 9.50 HSPF–nearly twice as efficient as a standard heat pump. ENERGY STAR® qualified–meets or exceeds EPA guidelines for energy efficiency. Efficiency ratings of up to 16.50 SEER and 9.50 HSPF–can save you hundreds of dollars a year, compared to a standard heat pump. High-efficiency outdoor coil–provides exceptional heat transfer and low air resistance for high-efficiency operation. Dual-fuel capability–can be combined with a gas furnace to enhance comfort and fuel efficiency by alternating between electric and gas heat, optimizing energy use and minimizing heating costs. Efficiency ratings meet or exceed 14.00 SEER and 7.70 HSPF–can save you hundreds of dollars a year, compared to a standard heat pump. Control your thermostat from anywhere. Remote access with Cloud connectivity lets you adjust temperature and control energy costs from anywhere, using your smartphone, tablet or laptop. One-Touch Away Mode overrides your regular programming schedule when you’re away and automatically turns down heating or cooling to save energy. Weather-on-Demand with five-day forecast lets you know what to expect outside throughout the day. Alerts and Reminders not only will your icomfort Wi-Fi monitor itself with advanced diagnostics, it can also send you and your dealer alerts and emails if the system needs service or maintenance. Customizable skin option allows you to cover and protect your thermostat with your choice of artwork, a family photo or a color that blends in with your decor or the screensaver on your thermostat. Automatic updates connect you to new features as they become available. 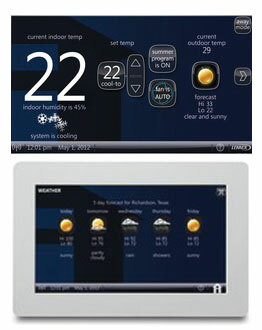 Simple touchscreen interface with intuitive graphics and bright backlighting makes programming easy. 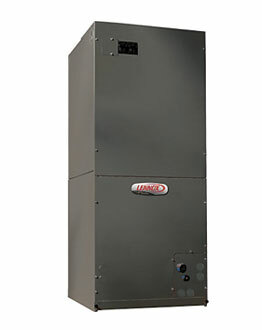 Quiet, efficient, environmentally responsible air handler for virtually any installation. High-efficiency evaporator coil–provides excellent heat transfer and efficiency. Meets the Florida 2%-or-less air leakage requirement. Thermostat, to exchange information and make adjustments as needed to optimize performance and efficiency. 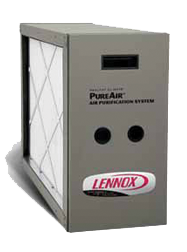 Eliminate pollutants from indoor air. Improves air quality and protects heating and cooling equipment. Offers installation flexibility with added safety features and simplified maintenance. Reduce your family’s exposure to potentially harmful airborne pollutants. No ozone emissions- a known lung irritant. Highest efficiency in-line cartridge media filter. 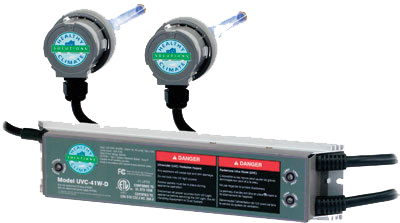 #1 rated professionally installed, whole-home filtration system as ranked by a leading consumer magazine. 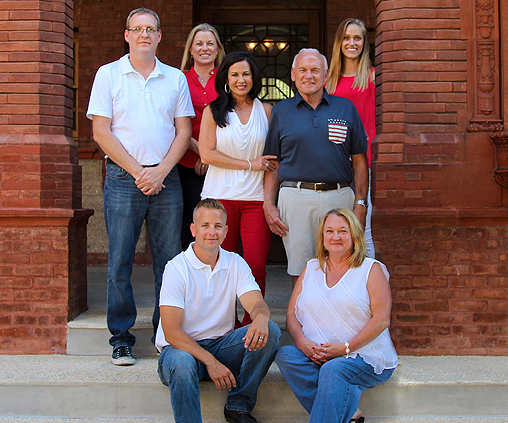 Provides whole-home filtration for optimal home comfort and air quality, with no additional energy costs. MERV 16 Precision Pleat™ media filter (MERV 16/CADR 1900). Hospital inpatient care/general surgery level filtration. Removes OVER 95% of particles ranging in size down to 0.3 micron. Removes OVER 90% of bioaerosols and microorganisms down to 0.01 micron. Effective filtration to protect the HVAC equipment. It would take at least six of the top-rated portable room air cleaners to equal the performance of one Healthy Climate® 16 Media Air Cleaner. Cartridge slides out for quick and easy replacement. Cartridge lasts up to one year. As with any filtration product, replacement life cycle depends on the individual conditions and needs of your home. 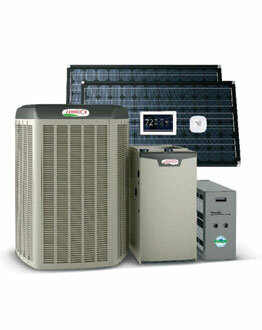 Compatible with any HVAC system-no additional power source needed. Your best defense against poor indoor air quality, The PureAir® system uses exclusive UVA-light technology to attack all three classes of indoor air contaminants-particles, mold/mildew/bacteria and odors/chemical vapors. It not only reduces, but also destroys ozone, a known lung irritant.